Refrigerator, Washer & Dryer Included! Interested in more information or setting up a showing? Call or text Kyle Pfaffe at 512-636-9707 or fill out the form below and we’ll be in touch. 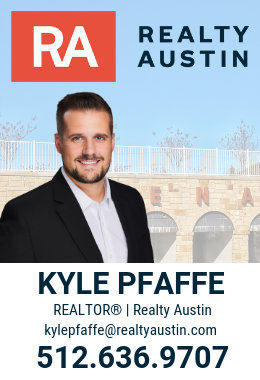 If you have any other questions about Siena, our neighborhood or real estate in the area, please call/text me at 512-636-9707 or contact me here.